The The Out of Africa theory, like all theories, remains valid until proven wrong. However the theory is not the only one and there is much contradictory evidence. Wilson and Cann secured bragging rights in perpetuity, science had once again provided certainty and an African ancestry. Or so it seemed. But not long after their paper was published Rebecca Cann realised they were mistaken. In 1982 she examined the mitochondrial DNA of 112 Indigenous people, including twelve full-descent Aboriginals, and the results were in total opposition to what they assumed was fully resolved. Nevertheless, Cann was obliged to contradict a central tenet of their paper, stating that “mitochondrial DNA puts the origin of Homo sapiens much further back and indicates that the Australian Aboriginals arose 400,000 years ago from two distinct lineages, far earlier than any other racial type.”8 Not only was the emergence of Aboriginal Homo sapiens “far earlier”9 than any Africans, she provided a sequence and motherland. The Australian racial group has a much higher number of mutations than any other racial group, which suggests that the Australians split off from a common ancestor about 400,000 years ago. By the same theory, the Mongoloid originated about 100,000 years ago, and the Negroid and Caucasian groups about 40,000 years ago. One major significance of this new discovery is that archaeologists will have to recalibrate previous assumptions about the journey out of Africa by modern humans. Most academics believe the trek began between 80,000 and 100,000 years ago, but until now there was no solid evidence that humans had reached south-east Asia – let alone Australia – for anything beyond 50,000 years. “Now we know humans were living in northern Australia a minimum of 65,000 years ago, the search will be on to discover each of the steps they took on the way,” Professor Clarkson said. It’s considered a nice story, very compelling even, and certainly, there are many archaeological sites and genetic studies which tend to favour it as fact. But the question remains, is it true? Even mainstream archaeology is moving inexorably to the conclusion that maybe, just possibly (only a hypothesis though) humans originated in Australia. Professor O’Connor said evidence suggests the technology was developed in Australia “after people arrived” (sic) around 50,000 years ago. “We know that they didn’t have axes where they came from. There’s no axes in the islands to our north. They arrived in Australia and innovated axes,” she said. Maybe we did not all come Out of Africa ? DNA research is rapidly coming to the conclusion that maybe not all humans came Out of Africa., and certainly a lot longer ago than the 40-60,000 years previously preached as “historical fact”. Whether our ‘mystery’ DNA is local or of distant origins, it does seem odd that scientists who have supposedly mapped the entire human genome are still finding traces of a ‘new,’ previously unknown human lineage in our blood. There are 2,500 registered Aboriginal heritage sites on the Burrup peninsula and surrounding islands, which are located near Karratha, 1,525km north of Perth. The area is also home to the US$2bn North West Shelf gas project, the largest oil and gas development in Australia. The entry to the largest heritage site, a valley containing close to a million rock carvings dating back 40,000 years, is within a kilometre of a fertiliser plant. Last year the WA government removed a large umbrella heritage listing for the peninsula because it complicated development applications. 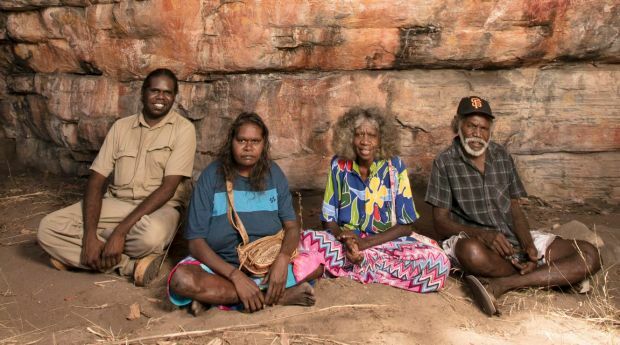 The research done by McDonald and her team was co-funded by Rio Tinto, which has a mining lease within the national heritage area, and Murujuga Aboriginal Corporation. The story I always got as a schoolkid was that the First Australians were simple hunter gatherers and nomads. We were told that aboriginal people created no permanent dwellings, that they didn’t bother to cultivate the land, that they didn’t have the technology to build dams nor to herd wild animals. But it turns out that all of this just isn’t true. I am just reading Bruce Pascoe’s book Dark Emu which completely dispels this myth, a myth that was clearly promulgated by the first settlers in order to justify the theft of land from traditional landowners. By reading some of the original white explorer’s diaries Bruce has uncovered 100s of examples of first australian animal husbandry, agriculture, cereal production and storeage, well building and permanent settlements. For example Sturt’s group were within 2 days of dying of starvation and thirst in the middle of the Stony Desert, when they were greeted by a group of 400 Aboriginals who offered them farmed roast duck, cakes made from millet and three newly constructed buildings for their use while they recovered to continue their journey. Sturt and many other explorers documented all of this in great detail, including large scale harvests and driving through 9 miles of haystacks ! Archeologists have recently accepted that the oldest man made stone structures discovered to date on the planet are the 40,000 year old stone fish traps at Brewarrina, and 32,000 year old grindstones meaning the First Australians were the first bakers in the world !! Like Bruce I find it incredible that this culture is so underestimated in Australia. As he says if this was in Texas or Britain there would a Tourist bus running to the site every 15 minutes ! This is one of the oldest mandala like images in the world, possibly created around 50 000 years ago with the Kimberly Foundation Australia dating project still testing to confirm dates … it is painted in ochre on the ceiling at Cyclone Cave, in the Kimberley, Australia. Robyn Mungulu, senior guide stands here and shares the sacred site. Did Homo Sapiens originate in our Great Southern Continent ? Today’s post is about a little known tribe of Little People that still exists today in Far North Queensland. In the 1400’s and 1500’s, Dutch and Portuguese sailors sighting the Western Australian coastline noted “tall natives in warfare chasing and killing hordes of “little” native peoples”. Yet, since then, the Australian pygmies have been totally obliterated from public memory. “small, curly-haired people with languages which have distinctive features”, but the accompanying photograph of Yidinjdji tribesmen taken in 1893 does not give any scale or point of comparison to show that these adult males were only about 140 centimeters (four feet six inches) tall. Joseph Birdsell, height 186 centimetres (six feet one inch), with twenty-four-year-old male of the Kongkandji tribe, height 140 centimetres (four feet six inches). The photograph was taken at Mona Mona Mission, near Kuranda, North Queensland, in 1938. The Little People are still alive and well in the forests around Kuranda, which any Djabagay or Bulawai will confirm, their survival due to the fact that they cannot be seen by the whitefella. Kuranda Primary School has the lowest average height amongst Original peoples in any school in the whole of Australia. What eventually happened to the Cairns rainforest people? The settlement at Yarrabah still exists at Cape Grafton. After 1897 it was not confined to the local people but accommodated Aborigines from all over North Queensland. The missionaries deliberately disrupted traditional tribal betrothals so that a fair amount of inter-marriage took place. It ceased to be a mission in 1960 when it was taken over by the Queensland Government. In 1986 it became a self-governing Aboriginal community but by then a large number of residents had left. Mona Mona mission continued until 1962 when it was closed down. Its residents were dispersed to other Aboriginal reserves and into the general population. Some former residents now living at Kuranda want the original mission land returned to them. Today, there are 14,700 Aboriginal people living in the Cairns region. We presume a good proportion of them must be descendants of the original Kongkandji, Barbaram, Indindji and Djabuganjdji tribes. The first extended contact between Europeans and Australian pygmies occurred in the 1890s at Yarrabah, an Anglican church mission to Aborigines established in 1892 at Cape Grafton, just south of Cairns. The three main tribes in the region were the Kongkandji (Gungganydji), Indindji and Barbaram, whose territories covered, respectively, the coastal area around Cape Grafton, the eastern slopes of the Atherton Tableland from Lake Barrine south to Gordonvale, and the Great Dividing Range behind Cairns. 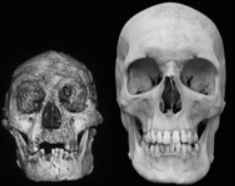 All of them shared the same very short physical stature, as well as similar languages and culture. In the mission’s first five years, about 150 Kongkandji periodically visited to receive rations but only a small number remained there permanently. After the Queensland Government passed its Aboriginal Protection Act in 1897, which forced Aborigines to be legally confined to reserves and missions, Yarrabah grew to a settlement of 150 residents drawn not only from the three local tribes but also from people all over North Queensland who bore no physical or cultural resemblance to the Cape Grafton Aborigines. Outside the mission, however, no one paid these people any special attention until an Adelaide researcher came across them in the late 1930s. In 1938, Norman Tindale, an entomologist and anthropologist at the South Australian Museum, was going through a package of old photographs of Aborigines from the Warburton Mission sent him by a friend in Western Australia. One of the photographs of a group of men and women was labeled “Aborigines of north-west Australia”. The Warburton Mission was on the edge of the Gibson Desert, but the background of the photograph was clearly tropical jungle. It showed a wet weather hut thatched with what Tindale, a keen naturalist, recognized as the broad leaves of the wild banana tree. He could also tell that, if these were banana leaves, the people by comparison were very small. He made some enquiries and soon found that the only remaining stands of this plant were in the tropical rainforests on the eastern slopes of the Atherton Tableland in North Queensland. At the time, Tindale and the American academic, Joseph Birdsell, were engaged in the most extensive project ever mounted in Australian physical anthropology to measure a large sample of Aborigines according to their weight, stature and a number of other bodily characteristics. They found the prospect of discovering a group in the Queensland rainforests so at variance with the norm, irresistible. They also knew that, since the nineteenth century, there had been a number of theories about the origins of the Aborigines and the migration of ancient peoples to the Australian continent. In 1927, in his book, Environment and Race, the controversial Sydney geographer, Griffith Taylor, had speculated that several waves of Aboriginal migrants had swept before them an even older “Negrito” race. Maybe these rainforest people held the key to the story. As soon as they could, Tindale and Birdsell drove from Adelaide to Cairns in search of the people in the photograph. They eventually found six hundred of them from twelve different tribal groups living on and around two missions, Yarrabah at Cape Grafton and Mona Mona at Kuranda on the Atherton Tableland. 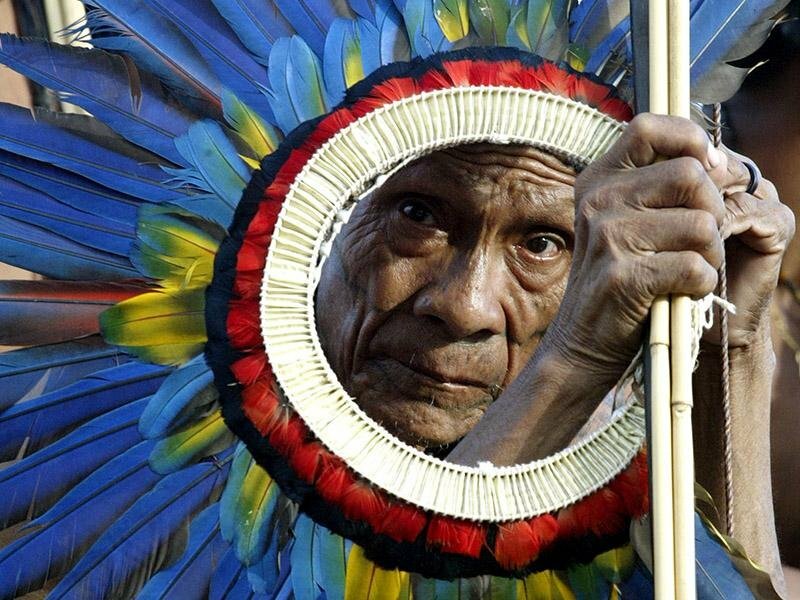 Some of them had only come in from the rainforest within the previous six years and spoke only their native tongue. They said there was still one family living a completely nomadic, hunter-gatherer life in the mountains behind Cardwell. 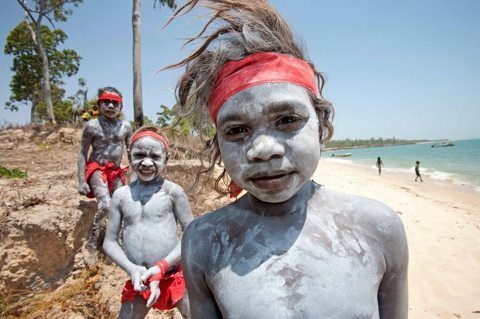 Their small size, tightly curled hair, child-like faces, peculiarities in their tooth dimensions and their blood groupings showed that they were different from other Australian Aborigines and had a strong strain of Negrito in them. Their faces bore unmistakable resemblances to those of the now extinct Tasmanians, as shown by photographs and plaster casts of the last of those people. By 1963, when Tindale wrote these words in his book, Aboriginal Australians, the Barrinean pygmies were no longer an unknown people consigned to the oblivion of distant mission stations. Nor were they mere physical curiosities. They had become the centerpiece of what was then a widely influential explanation of the origins of human settlement on this continent. Northern Australian aboriginals may have had contact with Indian migrants 4000 years ago, says study. I wonder if they locked them up in concentration… sorry refugee camps at the time ?